Financial abuse is a form of domestic violence, and the signs of financial abuse are not always easy to pick up. Even though it may not leave bruises, it can be just as devastating as other forms of abuse within a relationship. 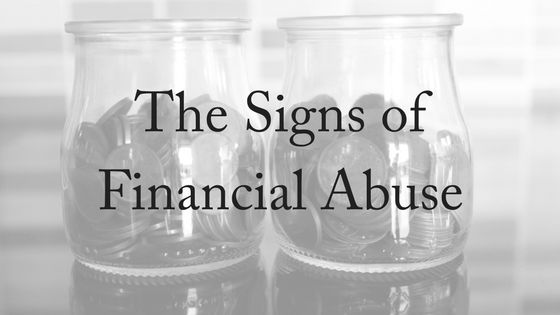 But there are ways you can pick up on the signs of financial abuse. With inflation levels rising, the money situation for many is getting tighter, which may make financial abuse more tempting. For many, it’s simply becoming a reality. With housing affordability, rent and electricity and groceries all becoming more expensive, more people feel under financial pressure. Unfortunately, as each case is different, it can be incredibly hard to see the signs of financial abuse – especially if you are the victim. There are many signs of financial abuse as each case is vastly different as one person’s finance is not the same as another. People in financially abusive relationships may still have a job, but it may be one they don’t particularly want or like. They may be forced into a certain career by their partner so that they can’t be financially independent. They lack the opportunity for financial stability and independence from their partner. Examples involve being forced to stay home or only work a limited number of hours and only with permission. Even if the victim ends up working full time, they may not be allowed any flexibility outside their work hours. They may be only allowed to come straight home after working a full day and whatever money they earn must be deposited into a joint account and all finances are monitored by the other person in the relationship. Restrictions around work is one of the signs of financial abuse. Whatever money is earned is controlled by the abusive person in the relationship. This means the other person must ask to spend money and the abusive person is very strict on where the money is spent and how it is spent. If the money that is spent is not accounted for, more abuse can follow. The victim may find themselves being punished by not being allowed any access to money or other forms of abuse such as physical and emotional abuse may follow. 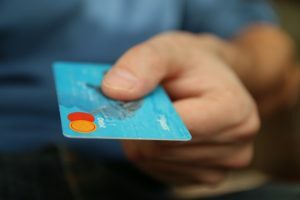 Many people in situations of financial abuse find themselves without access to a bank account or debit card, meaning all money is supplied by the abusive partner. Having limited access to money is one of the signs of financial abuse. 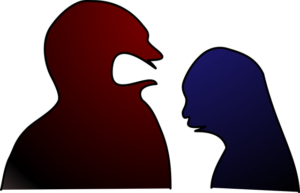 The victim may know that something is not quite right in the relationship, and when attempting to speak up about it, they are immediately shut down with threats. These threats may not be physical, but instead be emotional or verbal, including threats of the abusive partner ‘leaving’. Because the victim is financially dependent, they may then feel trapped. The idea of the other partner leaving is actually quite a horrific suggestion as they could be left with no money or source of income. The partner may also emotionally set the idea that the woman is only meant to have a family, meaning that by having children, she is forced to stay home and look after them. Even if the victim in the relationship is earning money and the abuser is not, they can still fear financial abuse as the abuser may continue to control the money as an effort to ”stay on budget”. What should victims of financial abuse do? Do you have a place to go? Ask for help from friends or family if possible. If you’re worried about your future, consider enrolling in online courses to upgrade your qualifications. You can defer the fees so that there is no track of payments. Contact Centrelink to find out what income support payments are available to you until you get back on your feet. Open a separate bank account that the money can be deposited into. Seek legal advice. Your abusive partner may tell you that you’re entitled to nothing or that the house is in his name. Don’t believe it! Instead, get good advice so that you receive a fair property settlement. There are always options available and you do not always have to remain in your situation. If you’re experiencing any of these signs of financial abuse, contact us today. We offer a FREE, 10-minute phone consultation.